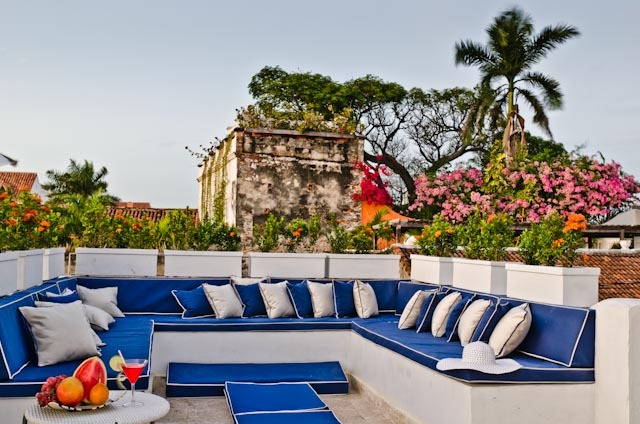 The Bantú By Faranda Boutique is a charming hotel in the historic center of Cartagena de Indias. Boasting a 5 star hotel category in Cartagena de Indias, Bantú By Faranda Boutique offers an avant garde interior design, eighteenth-century colonial architecture, and unique services such as; colonial courtyard, chill-out terrace, solarium, swimming pool, spa, bar, restaurant. The following discounted rates have been negotiated with Hotel Bantu for our guests. Below you will find the rates per night according to different types of rooms. Kindly book by March 28th, 2016 to secure these rates. To reserve please send your inquiry via email to Rode Ruiz at mercadeoyventas@bantuhotel.com and reference "Matt & Ximena Wedding" in the subject. To guarantee your reservation, the hotel will pre-charge the entire stay or only 50% of the total amount, whichever you prefer and indicate to them. Any remaining amount can be paid at the hotel during check-in.